Nor-Shipping, one of the most famous names in maritime exhibitions, is making its first move outside Norway. 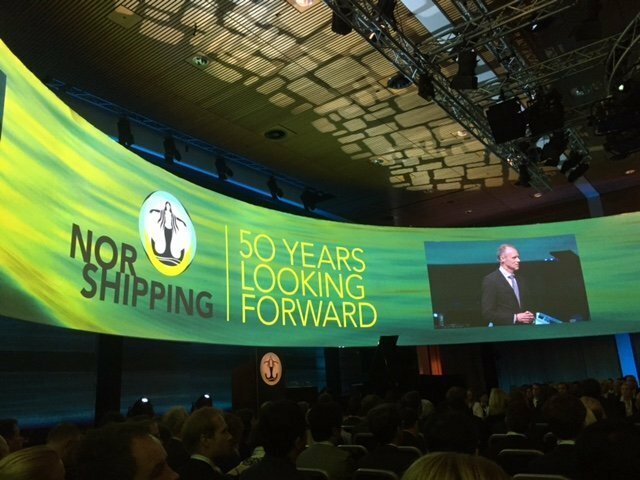 Nor-Shipping’s Opening Oceans Conference, taking place in Copenhagen from May 2 to 3 this year coinciding with Danish Maritime Days, the Scandinavian country’s popular maritime week. Opening Oceans Conference is supported by both the Norwegian Shipowners’ Association and Danish Shipping and fills a hole left by the Danish Maritime Forum. After three years of government support came to an end last year the Danish Maritime Forum decided to up sticks, rebranding as the Global Maritime Forum and moving from one city to another each year, with Hong Kong selected for the inaugural event this October. Nor-Shipping said its new event is targeted at c-level executives seeking sustainable business operations “below, on and above the ocean waves”. Nor-Shipping’s Sofia Furstenberg commented: “According to the OECD, economic value creation from ocean activities will have doubled by 2030. At the same time traditional maritime players are under increased pressure, eyeing growth of just 1% over the next five to ten years. However, to really unlock the potential of the ocean, businesses need to tap into the established skills, resources and infrastructure of commercial maritime. So there’s huge potential here – both for collaborations between new ocean players and shipping businesses, but also for existing maritime firms to adapt, revitalise and prosper. The conference will focus on several key issues over the course of its two-day duration. Central themes include energy production and access to minerals, changing logistic demands, food production, and capturing, collating and extracting value from the ever-increasing flow of ocean-related data. Keynote speakers will address delegates within a high-tech arena, while meeting rooms, glass think tanks and informal collaborative working spaces will lay the foundations for exploring ideas, forming new partnerships and exploiting commercial opportunities.